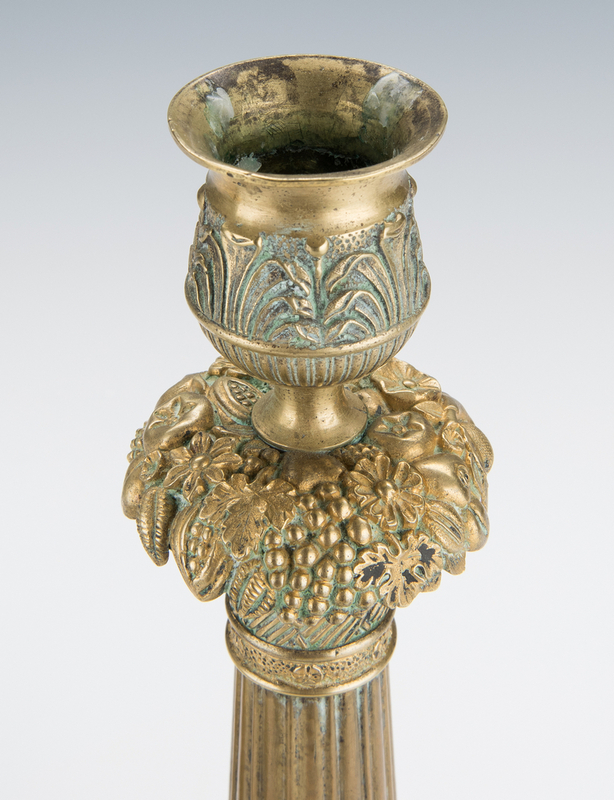 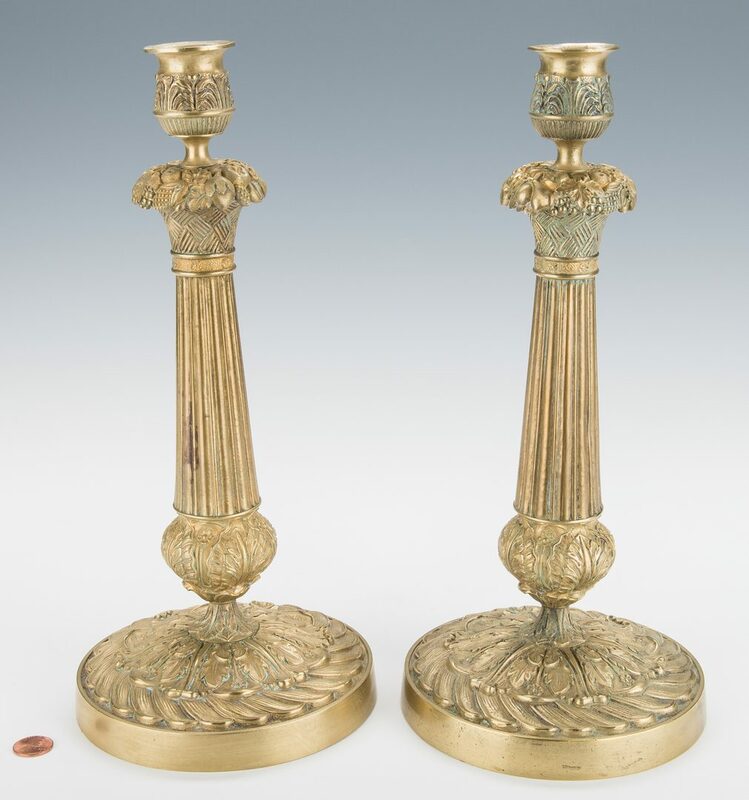 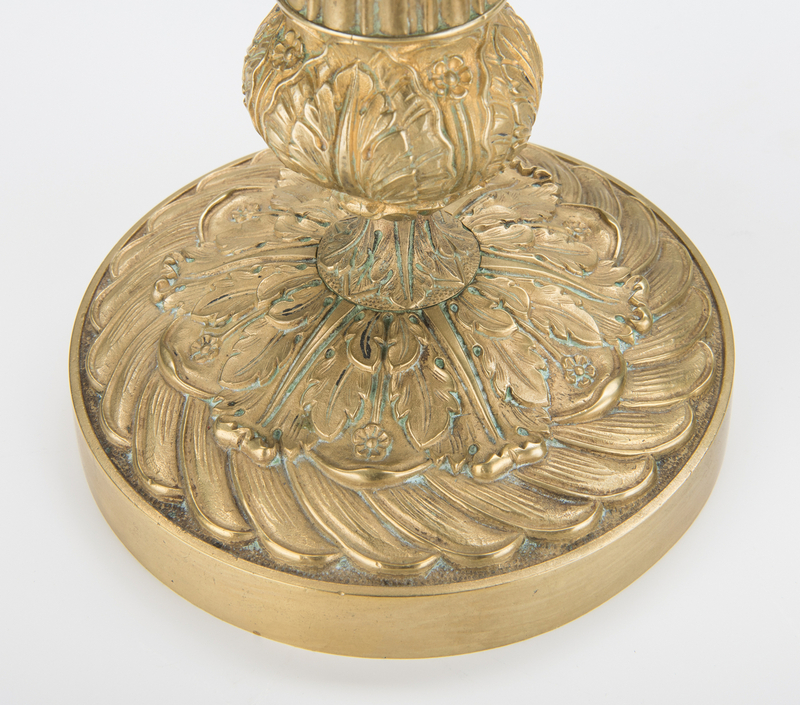 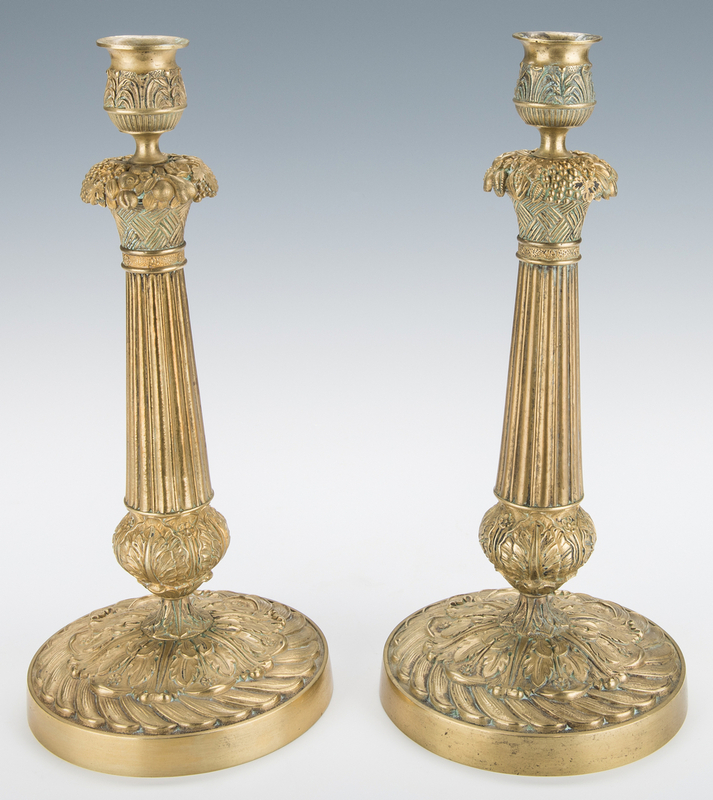 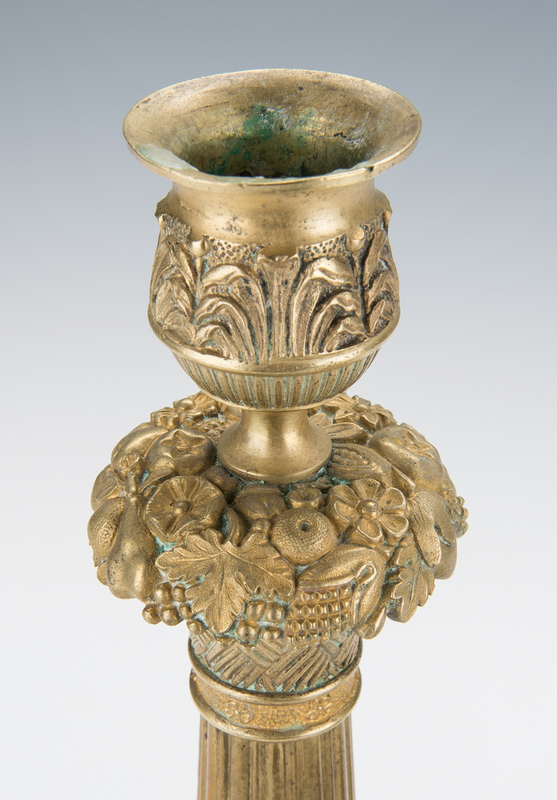 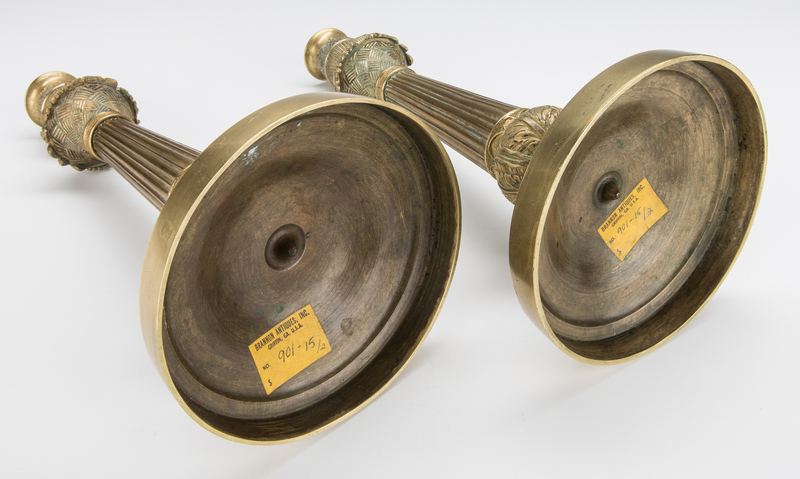 Pair of gilt bronze French Empire candlesticks having tapered reeded columns, fruit/floral basket and palmette tops, and floral and acanthus bases. 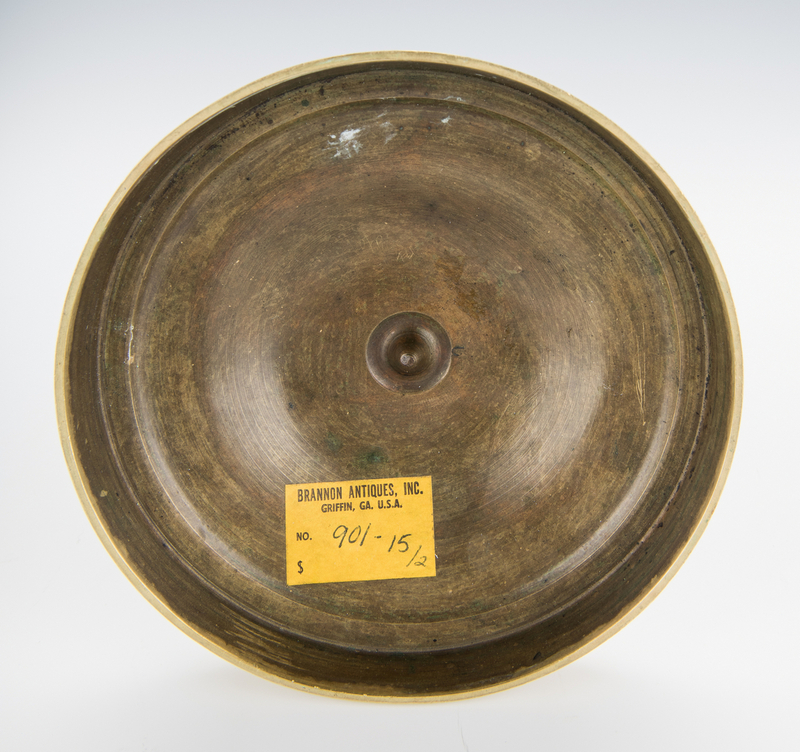 12 3/4" H. 2nd half 19th century. 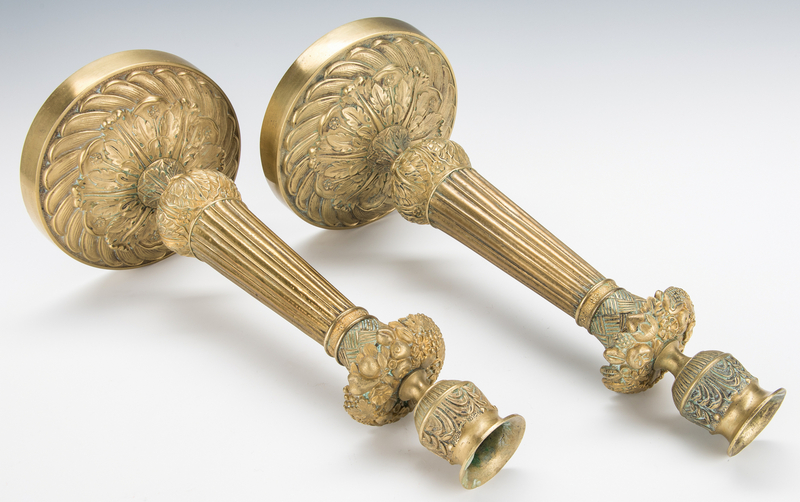 Provenance: Private Knoxville, Tennessee collection. 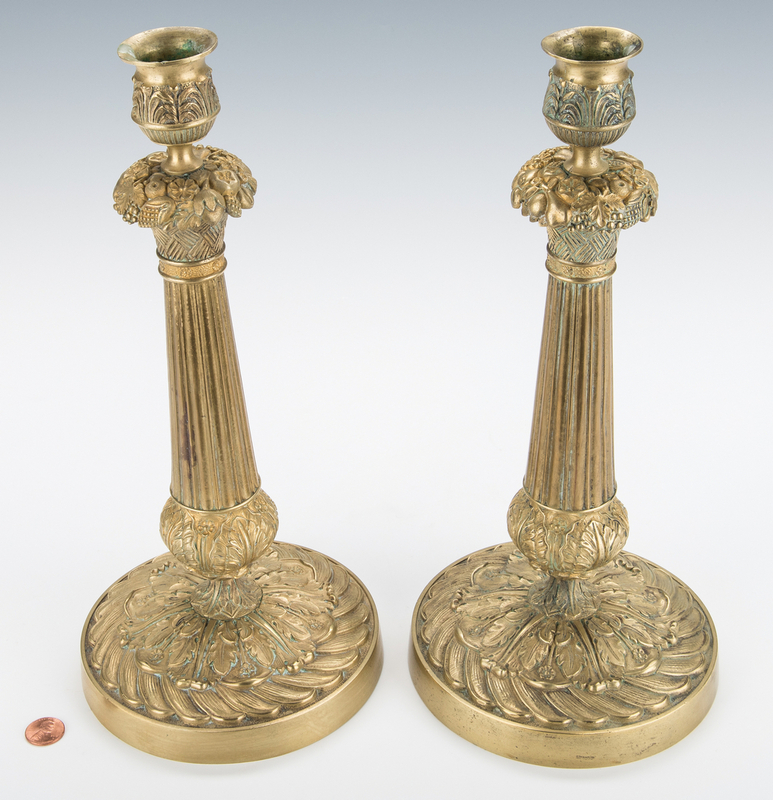 CONDITION: Minor scattered pitting to columns, slight wear/uneveness to candle cups/tops.